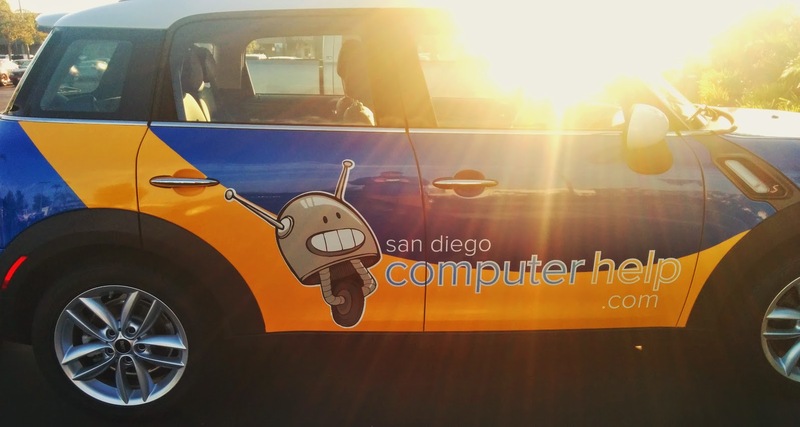 San Diego Computer Help offers Same Day Computer Repair, virus removal and computer training & consultation for both small business and homes in greater San Diego including Rancho Santa Fe, La Jolla, Downtown, Del Mar, Carmel Valley, Rancho Bernardo, Escondido, San Marcos, Vista, Carlsbad, Hillcrest, North Park, Encinitas, Torrey Pines, Clairemont, Kearny Mesa, El Cajon, La Mesa and more. Call us to schedule a same day appointment! Business or Home, we come to you!